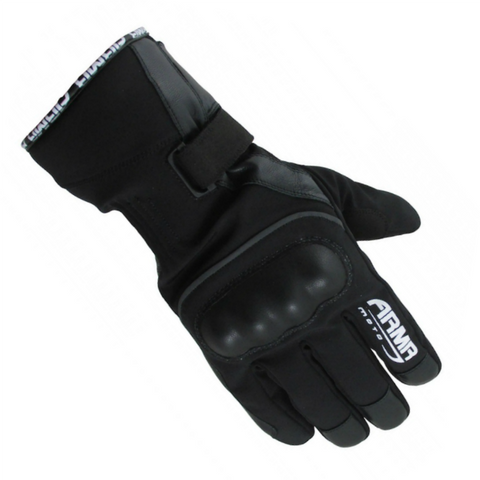 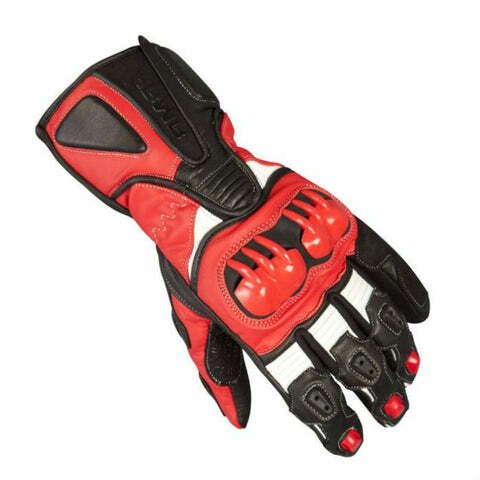 Looking for the best in motorcycle protective gloves? 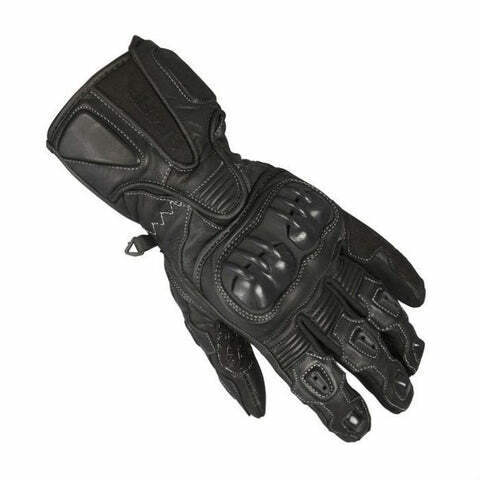 Then our range of leather motorcycle gloves should be the first and last place you look, with leather gloves offering unrivalled protection to your hands thanks to the high abrasive resistance of leather. 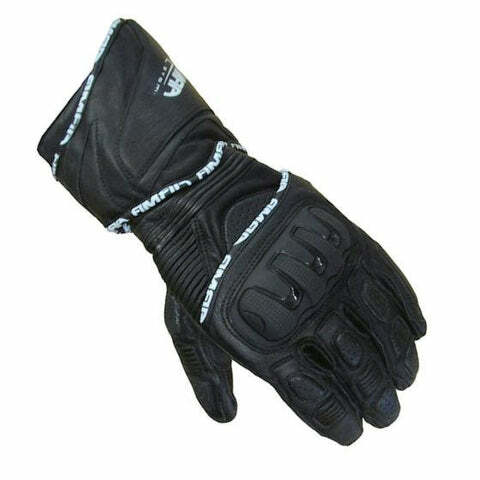 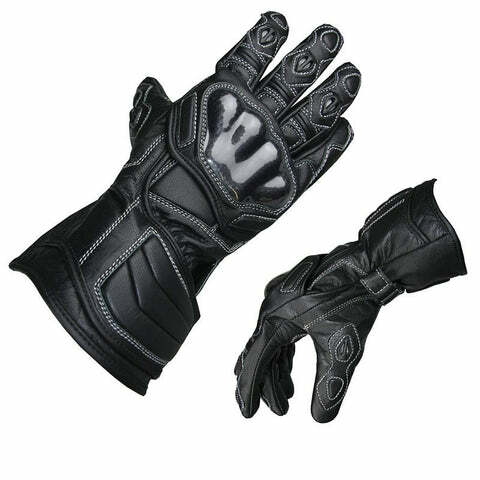 Leather motorcycle gloves are also a very comfortable option when it comes to selecting your new gloves due to leather being a natural material which will stretch slightly and mould to the shape of your hand after a few rides, making the gloves surprisingly comfortable and keeping you in perfect control of your motorbike. 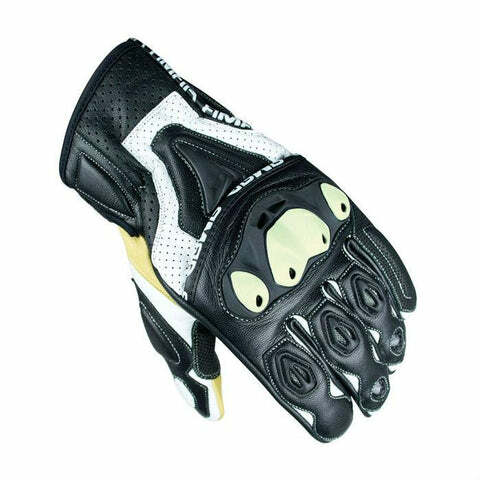 If you're a biker looking for some cheap gloves to keep your hands safe without cramping your style then the S235 from ARMR Moto are your next pair of gloves. 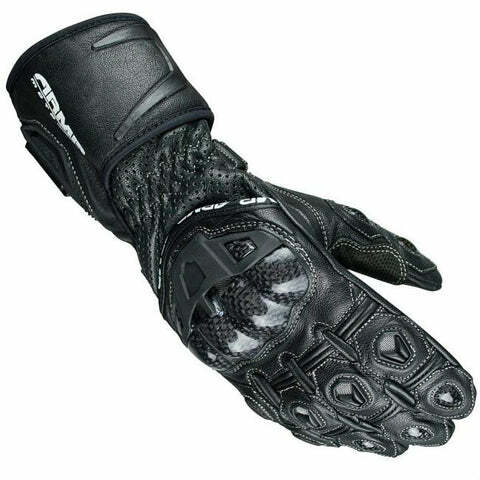 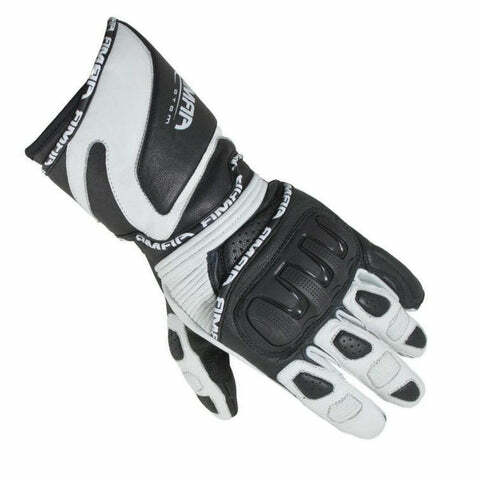 The S470 is a sleekly designed race inspired leather glove from the leaders in affordable clothing, ARMR Moto. 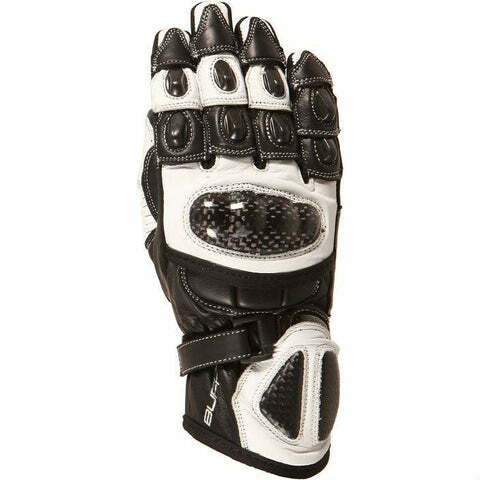 A carbon knuckle & finger protector prevents any hard knocks while the rest of your hand is covered by a range of durable slider sections. 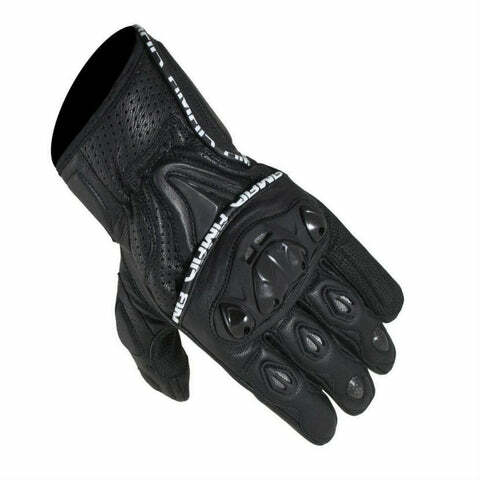 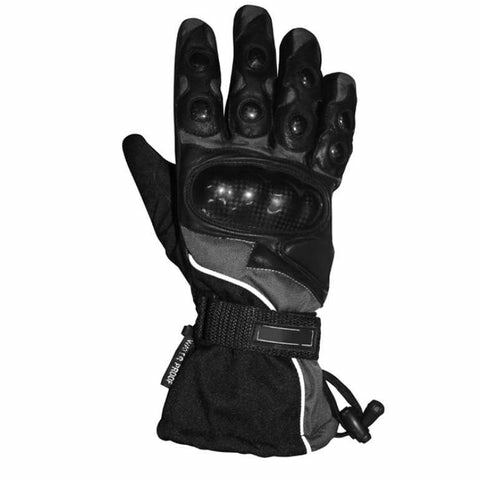 These are a great option for riders who like to tear up the street and the track without having to buy 2 different pairs of gloves. 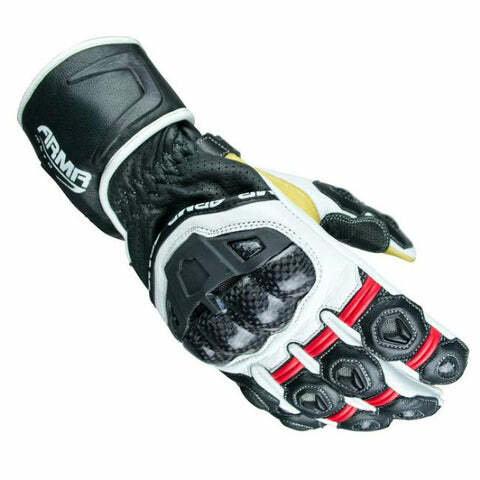 ARMR keep up with their Battle Ready slogan with the S550 gloves which provide protection and style at a price that means you can own every colour option if you wanted to. 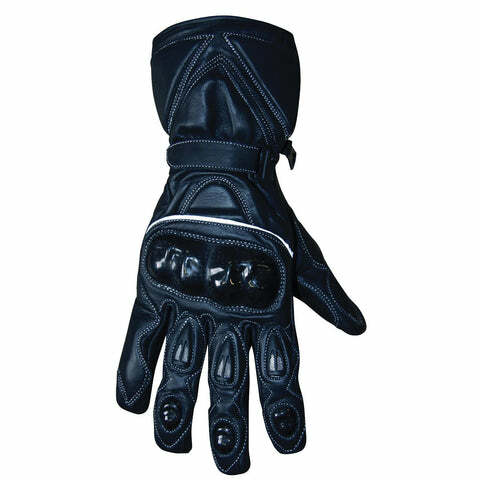 Whether you're looking for a stylish summer glove for the street or something that you can wear on a long tour the S550 deliver everything. The SHL445 is a short cuff leather glove from the ARMR range for the riders who like a bit more flexibility and 'feel' in their gloves. 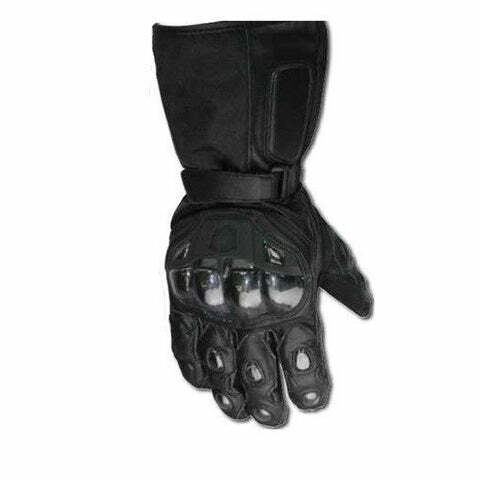 Protection is paramount with double stitched panels in the key areas that burst during crashes and a TPU knuckle block for reducing impact without taking away some of the flex you want to feel when your hand bends around the bars. 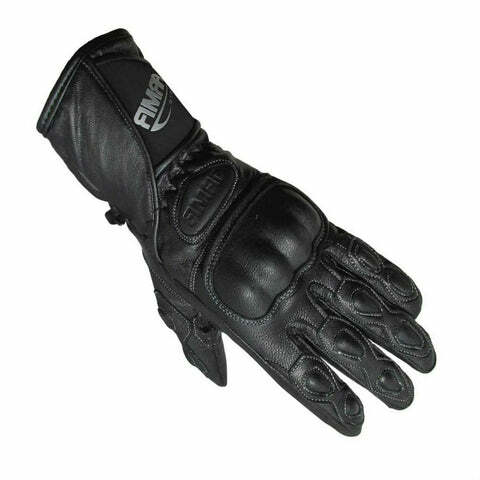 The Buffalo Bambino are full leather kids motorcycle gloves specially designed for smaller hands, since finding riding gear for smaller people is a tough job. 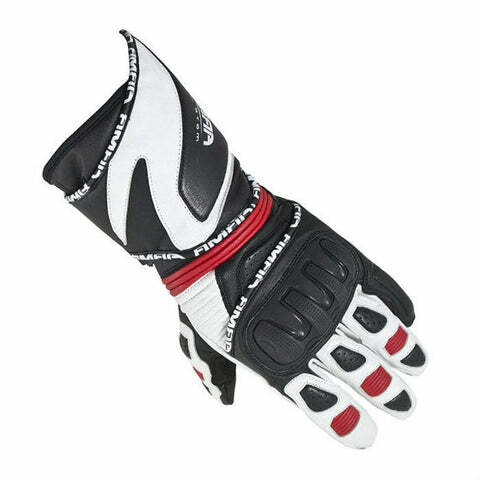 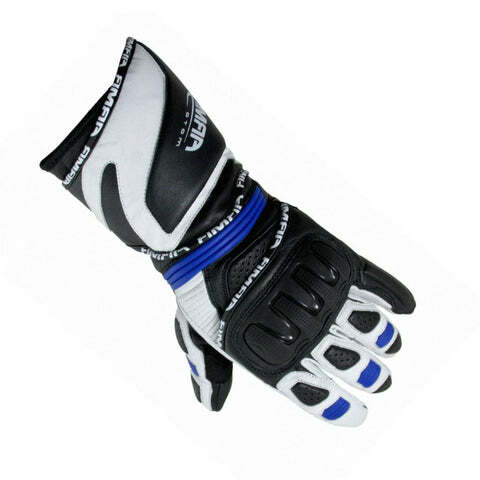 When it comes to finding a pair of sports gloves that offer top quality protection, style and durability it is worth looking at leather motorcycle gloves, as the favourite go to for every sportsbike rider and street stunter. 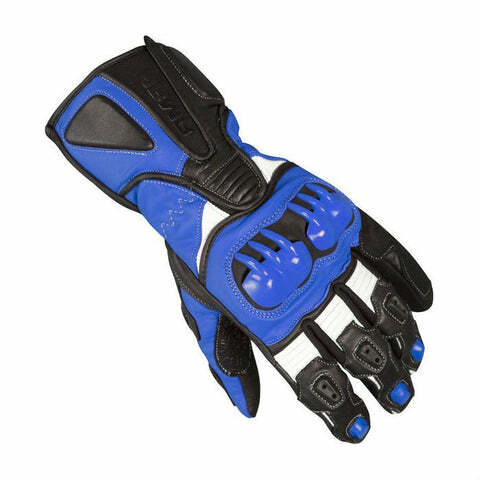 Our selection of leather sports gloves gives you the best choice of top brands alongside upcoming brands that you may not have heard of before! 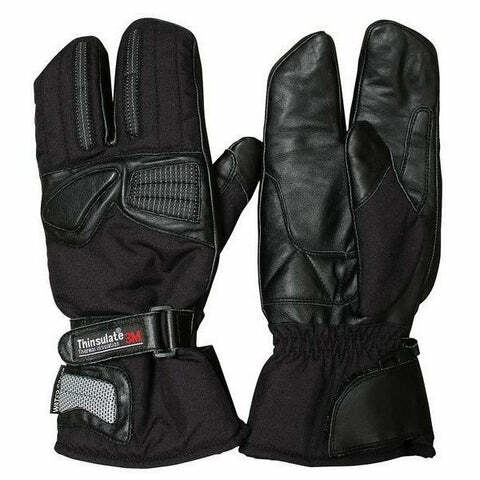 At LDMotorcycles.co.uk we understand that some people prefer lighter leather motorcycle gloves, but like the comfort and fitted feeling that leather gloves provide after the “wearing in” period. 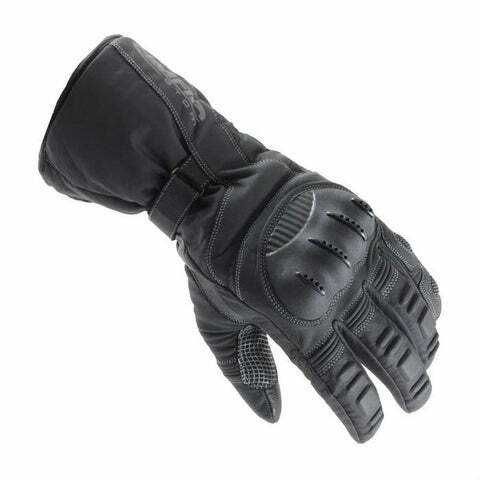 Leather is also one of the best natural insulating materials, making it a great choice for winter gloves, plus it is semi-breathable meaning that it prevents sweating in the warmer weather! 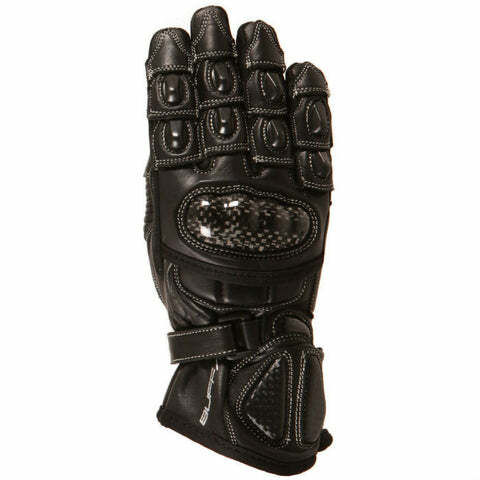 Our range of leather motorcycle gloves feature a pair for every budget, size, or riding style which means whether you’re looking for some warm leather gloves to make your daily commute a bit more luxurious, or some sport gloves with full protection for your next street or track tear up, we’ve got you covered! 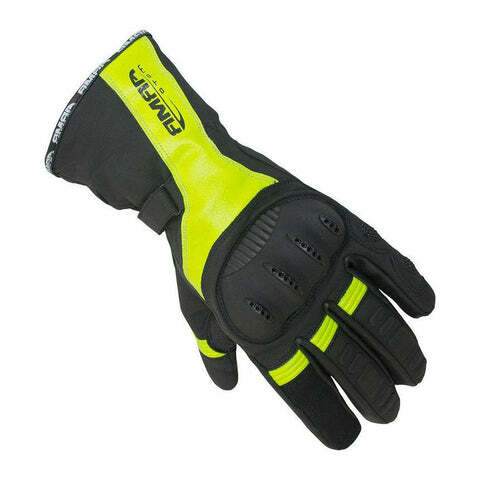 Plus with our Free Returns & Exchange policy you can be sure that even if you buy the wrong size, we will swap them over for the right size free of charge to get you back out on the tarmac as fast as possible.